BMW on Monday confirmed it secured the naming rights for potential vehicles ranging from an i1 to i9, as well as from an iX1 to iX9, with the iX-prefixed names indicating vehicles with an SUV body style. BMW also confirmed on Monday that its much-hyped iNext due in 2021 will be its “technology flagship,” as the vehicle will combine next-generation technologies in the areas of electric propulsion, self-driving capability and user interface systems. Being a flagship vehicle, it’s possible then that the iNext will be badged an i9 when it hits the market, or possibly iX9 if it features an SUV body style. The current iNext reference is only a code name. The highest ranked vehicle from BMW’s i sub-brand at present is the i8 plug-in hybrid sports car. The iNext will be a much more advanced vehicle so it stands to reason that it will be ranked higher than the i8. The iNext will be the first BMW to offer the automaker’s 5th-generation batteries, which will enable a range of over 400 miles on a single charge. It will also be among the first vehicles in the world to offer Level 4 self-driving capability. A Level 4 self-driving car will enable a driver to take their eyes off the road for extended periods during certain conditions, such as on the highway, and should a driver not take back control when instructed the car will be able to come to a stop safely on its own. 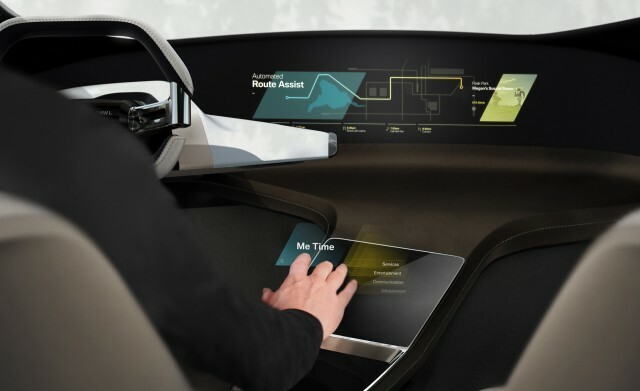 In terms of next-gen user interface systems, BMW hinted at what’s possible with the i Inside Future concept unveiled in January at the 2017 Consumer Electronics Show. The concept featured a hologram-based interface where the driver makes gestures in the air with their hand movements then tracked by cameras and tactile feedback given via ultrasound. Production of the iNext will take place at BMW’s main plant in Dingolfing, Germany. It’s thought the Vision Next 100 concept unveiled in 2016 to celebrate BMW’s centennial hints at some of the iNext’s design themes. Which is the best games console of all time? You decide! Save 60 percent on this Wireless and Waterproof Endoscopic Camera!